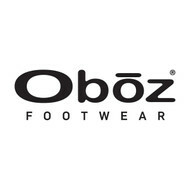 Designed to go the distance, the Oboz Bridger Vent Mid waterproof hiking boot will get you where you want to go no matter how hard or far you charge. Its synthetic mesh panels offer superior breathability combined with the B-DRY waterproof membrane and unbeatable construction for just the right amount of protection and support. Featuring a lower ankle height, softened tongue and collar, and the tried and true Granite Peak outsole package, this all trail, all star brings incredible ventilation and decreased bulk with virtually no break-in time. Fit Tip: Length runs true to size. Form hugging heel cup, sculpted mid-foot, and a generous forefoot & toe box.